Halloween is just around the corner and what better to celebrate than a fun Halloween Witch themed game compatible with Chromecast. 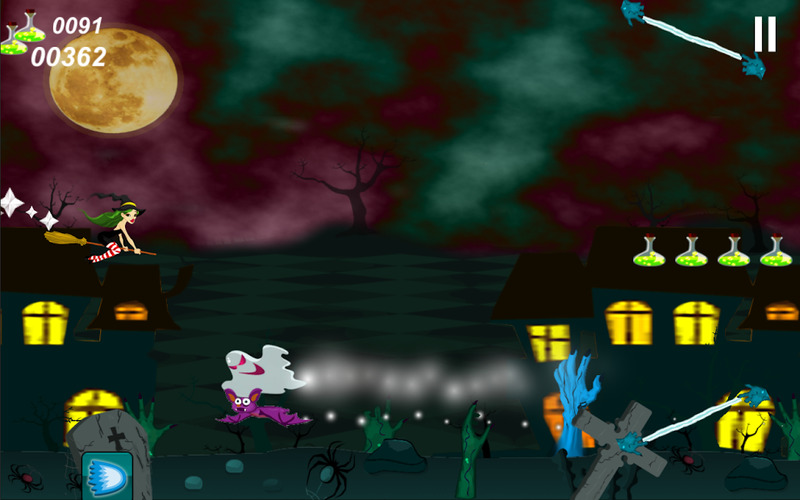 To play, simply press the screen to make the Witch go up and remove your finger to let her fall. 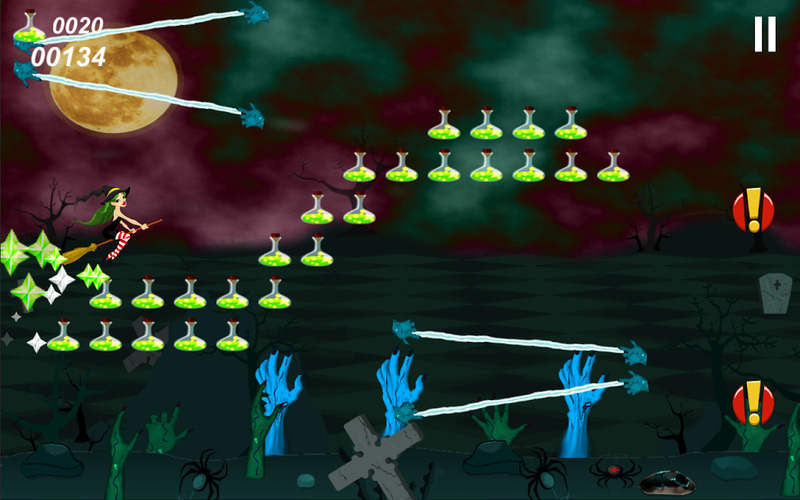 Avoid contact with the exploding cauldrons, the mines with spider webs and of course the zombie wizard hands. Collect the potions and use them to get some useful power ups like speed, shield, sonic blast and revive. Try to get as far as you can to score more points!